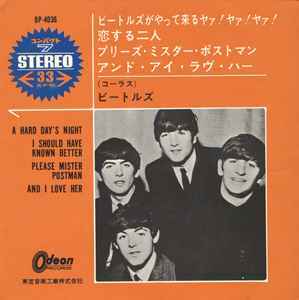 Japan pressing on red vinyl with picture sleeve and insert. Clean vinyl (VG+). Sleeve shows some light shelf wear (VG+). Lyric insert has a little writing on it and a small tear at the top with small piece (1cm) torn out. Please ask for photos. RED VINYL. A nice copy. Will send photos before deal. Vinyl has some light surface and hairline marks. Plays with some light ticks but a fairly clean play overall. Sleeve has some faint age discolouration on back but fairly clean and solid overall. Lyric insert has very top section torn off and frayed. Some age discolouration. Play graded. Cleaned with an Okki Nokki. Authentic Japanese (OP-4036) edition. Obi is no longer present. We offer quick & friendly customer service, fast shipping in bubble wrap & cardboard box for extra protection. Send us your Japanese items wantlist- if we can't find it, it doesn't exist.